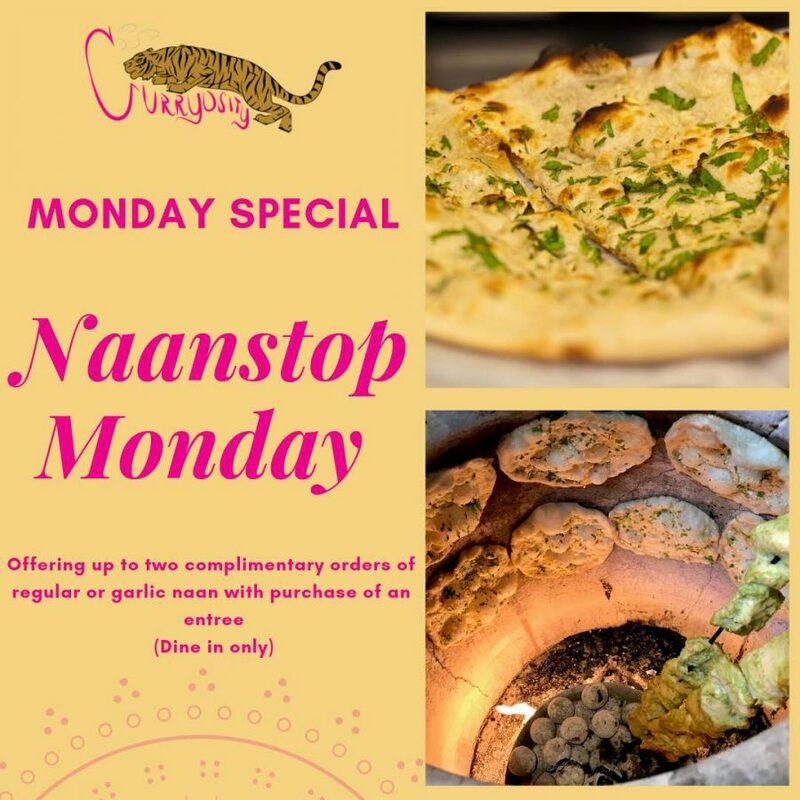 We are thrilled to announce Naanstop Monday. Come in for Dinner 🥘 and get complimentary Naan or Garlic Naan. A soft white flour bread baked in the tandoor, drizzled with olive oil.